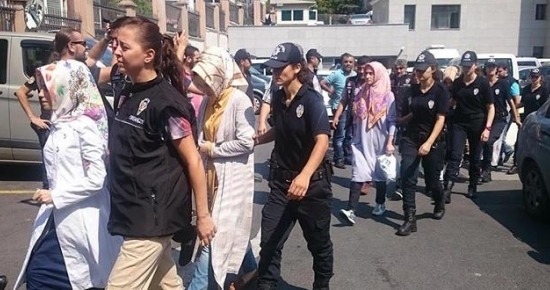 At least 20 women were detained as part of a corum-based investigation into the Gulen movement, which the government accuses of masterminding the July 15, 2016 coup attempt, on Saturday. Detention warrants were issued for 27 people while police were able to locate only 20 of them as of Saturday. The suspects, among them housewives and teachers, are accused of having links to the movement. The government has already detained over 120,000 people and jailed some 50,000 over similar accusations since last July.